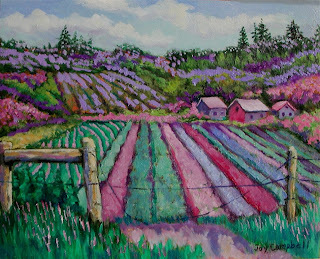 I love the purples in particular in this painting. I painted this scene originally plein aire in my own neighborhood. I live in the country outside of Winlock, Washington. It was my first try at plein aire and I was pretty clueless. 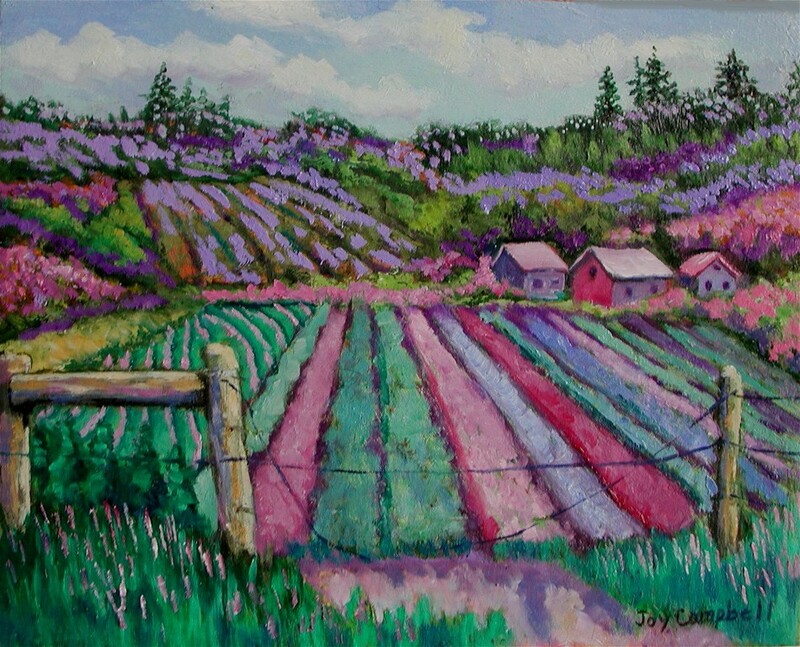 The painting sat around for a couple of years before I started a series of impressionistic and colorful landscapes. I felt this painting had enough merit to be transformed and I'm happy I did because this is one of my favorites. It's 8"X10" in oil and painted on gessoed hardboard. Check out my ebay auction.